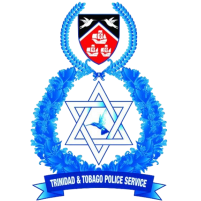 Jamaica international Ewan Grandison grabbed his first Trinidad and Tobago Pro League goal and assist on Wednesday for new club Central FC in a comprehensive 4-0 win over Point Fortin Civic in the first game of a double-header at Hasely Crawford Stadium in the capital city, Port of Spain. 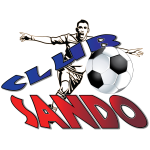 The win, only Central’s third from six league outings this season, lifted the three-time former champions up a spot into fourth but tied on 10 points with Defence Force FC (third) and Club Sando (fifth) before eighth-placed Morvant Caledonia United (2 points) ended the perfect run of leaders W Connection (16 points) with a goalless draw in the second game. Grandison, 27, who joined Central during the August transfer window, cushioned the Couva Sharks 2-0 three minutes into the second half with a powerful 30-yard free kick from the left after Civic goalkeeper Miles Goodman had let in a fourth-minute grounder from Russell Alfred who recently switched from Club Sando. Jared London made it 3-0 with his first goal of the season arriving in the 68th minute when he completed a sweeping move by the Couva Sharks with a solid finish past Goodman off a squared Jameel Neptune feed. Grandison, an ox-built former Portmore United captain, later provided the assist from a corner for substitute Dwight Pope to celebrate his first ever Central goal with a header on 90 minutes to complete the comfortable victory after Goodman had put behind an attempt from T&T national team call-up Duane Muckette. Central goalkeeper Marvin Phillip, who will also be part the T&T squad to contest the United Arab Emirates in a friendly international on September 6 in Spain, made three saves on the night including the matching of a powerful strike from the right by Civic’s Akeem Redhead three minutes before the break. In the second game, Connection and St. Kitts and Nevis shot-stopper Julani Archibald had to be at his best -- making back-to-back saves -- in the first minute of play, first denying Renaldo Francois then Sheldon Holder on the rebound. 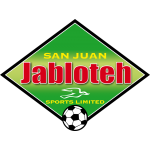 Archibald was forced into fine save ten minutes into the second half to put behind a Kerry Daniel free kick as Morvant Caledonia, recently equipped with two former Connection stars, 22-year-olds Aikim Andrews and Jesus Perez, continued to prove the bogey side of the Savonetta Boys. Connection, who, before kick-off were on five league wins from as many outings, tried to punish Morvant Caledonia on a quick counterattack from the resulting corner but Kadeem Corbin’s lob attempt was picked out of the air by his former teammate, goalkeeper Terrence Lewis, who also thwarted an Adan Noel effort. The best chance of the game fell to Marcus Joseph six minutes from time, but the Connection star and leading scorer drilled wide of goal after a measured Corbin cross put him against Lewis. 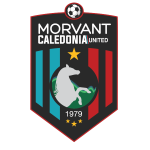 Connection have not defeated Morvant Caledonia since January 2017 and were knocked out of the 2018 First Citizens Cup by the Eastern Stallions at the group stage last July. 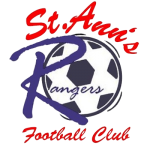 Morvant Caledonia, yet to post a league win after four games, will face Terminix St. Ann’s Rangers on Saturday in one of two outstanding fixtures at the Ato Boldon Stadium before the league breaks for the September 3 – 11 international fixture window. Morvant Caledonia United 0 vs W Connection 0, at Hasely Crawford Stadium. 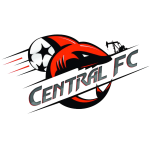 Central FC: 1.Marvin Phillip (GK); 3.Ewan Grandison, 8.Akim Armstrong (17.Obadele Dickson 73rd minute), 13.Rhondel Gibson, 15.Kaydion Gabriel, 19.Jared London, 22.Jameel Neptune, 23.Andell Brown (7.Hakim Baird 42nd minute), 24.Duane Muckette (Capt.). 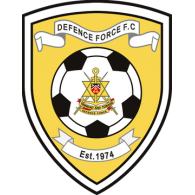 27.Anthony Charles, 29.Russell Alfred (5.Dwight Pope 64th minute). 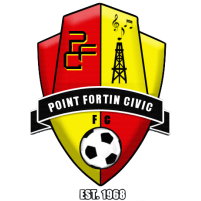 Point Fortin Civic: 22.Miles Goodman (GK); 7.Hughtun Hector (Capt. 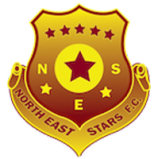 ), 11.Akeem Redhead (19.Nathaniel Garcia 61st minute), 12.Rondell Phillip (8.Jamal John 52nd minute), 14.Shaquille John, 20.Bevon Bass, 21.Ronell Paul, 24.Akinola Gregory, 30.Nion Lammy (25.Shaquille Dublin 36th minute), 33.Justin Sadoo, 99.Steven Joseph. Morvant Caledonia United: 1.Terrence Lewis (GK); 3.Richard Williams, 4.Maurice Ford, 6.Keion Goodridge, 9.Sedale Mc Lean (29.Aikim Andrews 12th minute), 10.Sheldon Holder (8.Andrew Murray 73rd minute), 12.Kareem Joseph (Capt. ), 14.Melvin Doxilly (7.Jesus Perez 71st minute), 17.Kerry Daniel, 19.Renaldo Francois, 22.Joshua Alexander. Unused substitutes: 30.Dejourn Charles (GK); 5.Joshua Sylvester, 26.Jair Edwards, 28.Jomokie Cassimy. 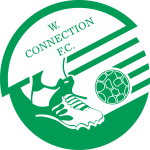 W Connection: 18.Julani Archibald (GK), 2.Kurt Frederick, 3.Gerard Williams (Capt. ), 5.Triston Hodge, 6.Kevon Goddard (8.Jameel Antoine 53rd minute), 7.Jomal Williams, 9.Kadeem Corbin, 11.Adan Noel (23.Kennedy Hinkson 81st minute), 19.Briel Thomas (27.Kierron Mason 15th minute), 26.Isaiah Garcia, 99.Marcus Joseph. Unused substitutes: 33.Jason Belfon (GK); 13.Caleb Sturge, 15.Otev Lawrence, 34.Cephas St. Rose.